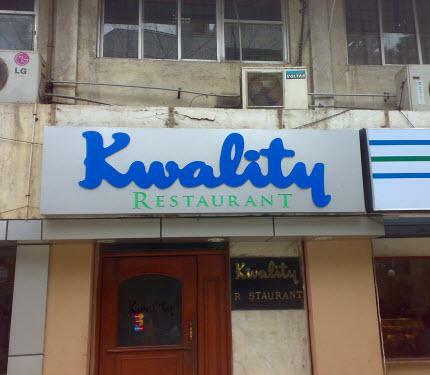 Kwality Restaurant is tiny eatery that is located at Khalid Bin Al Waleed Street in Bur Dubai, which is quite close to the coastline of the city. Therefore, not only locals keep this eating place busy, but tourists also visit this restaurant in decent numbers. As far as the menu of this place is concerned, guests will find typical Indian food at this spot along with vegetable dishes. Tarka daal, machli amritsari, hyderabadi gosht, succulent lamb, kashmiri pulao and qeema naan are highlights of Kwality Restaurant. Guests will find the rich taste and fine flavours of different herbs and spices in all the dishes of this eating place that are enough to make a person a true admirer of this venue. Indian and vegetarian dishes are the specialities of Kwality Restaurant. Chefs of this bistro crafted these delicacies very creatively so they can lure people of Dubai with their aroma and great taste. Interior of this venue is neat and clean plus guests can take pleasure in the live music played in the backdrop, while enjoying the traditional and delectable Indian dishes. The waiters at this restaurant are very efficient and know all about the dishes included in the menu. This first rate service by the staff members also leave a good impression on the guests and compel them to come again to this eating place. Takeaway service is another highlight of this small eatery, as several people take advantage of it each day. The operational hours of this eating place between Saturday and Thursday are from 12:30 pm to 3:00 pm for lunch and 7:30 pm to 11:30 pm for dinner. On Fridays this place opens around 1:30 pm and lunch is served till 3:00 pm, whereas dinner is dished up between the usual times 7:30 pm and 11:30 pm. Khalid Bin Al Waleed Street, Bur Dubai - United Arab Emirates. 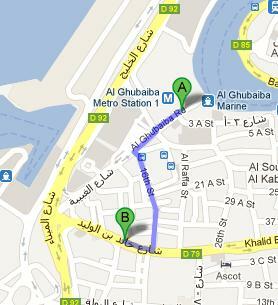 Al Ghubaiba Metro Station 2 is situated 850 metres away from the Kwality Restaurant in Bur Dubai. If a patron head in the southwest direction on Al Ghubaiba Road towards 51st Street from this metro station and then turn left at 51st Street. He or she will reach a turn on the right side that will lead them onto Al Ghubaiba Road from patron will turn left onto 16th Street, before making a right turn onto Khalid Bin Al Waleed Road/D 79 in order to locate the destination in 11 minutes. Falcon Intersection 2 bus stop is 130 metres away from the Kwality Restaurant. This makes it 2 minutes walking journey, if a bus user head in the southeast direction on Kalid Bin Al Waleed Road/D 79 towards 16th Street, after arriving at this bus station. Follow directions on map. 21, 29, 33, 42, 44,61, 61D, 66, 67, 83, C1, C3, C5, C7 and C18 numbered buses serve this stop.